This list from Adirondack Life magazine is a great reading assignment to help me explain why the Adirondack lifestyle is so special. 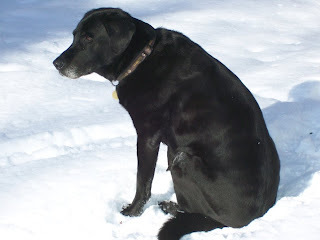 Today's blog star photo is one of Puz from the archives because he loved the Adirondacks too, (see #36) and last night I dreamed he and I were on a fun ski together. Feel free to tell us why you love the Adirondacks.